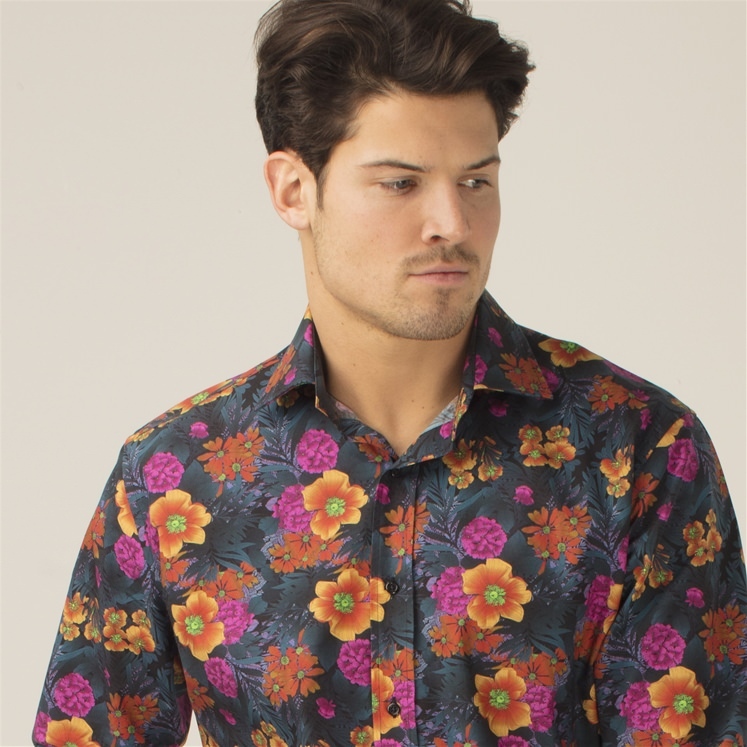 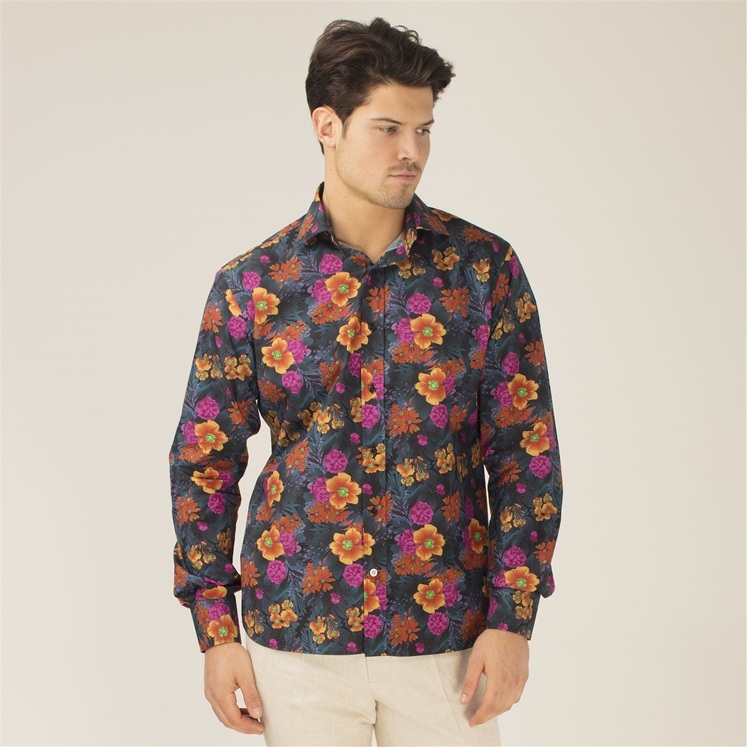 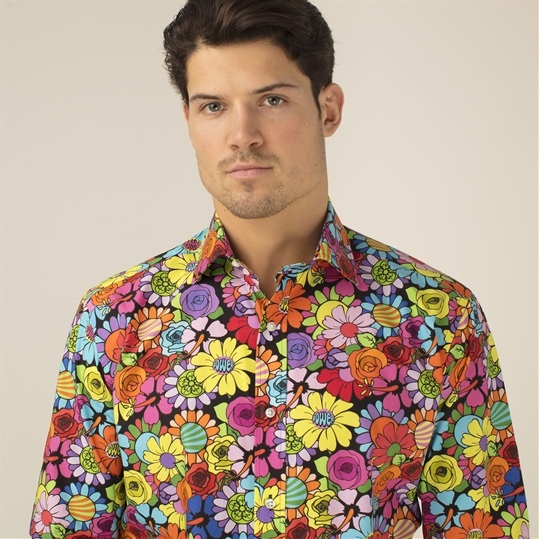 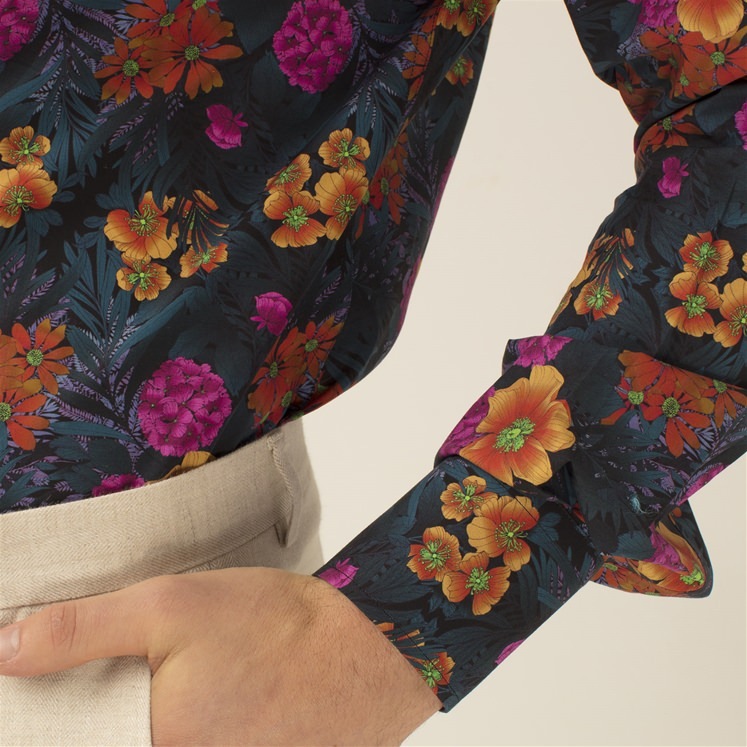 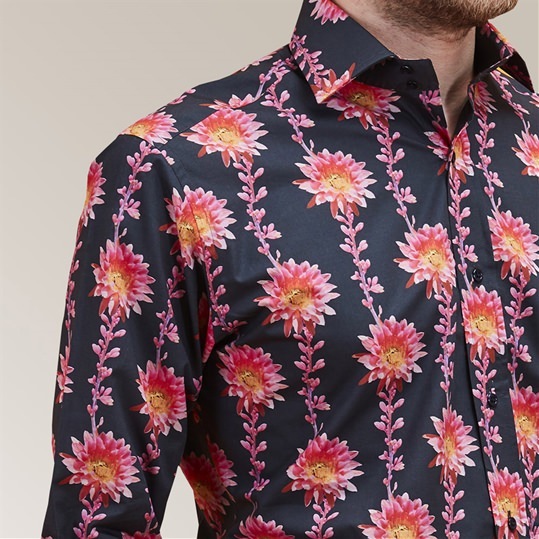 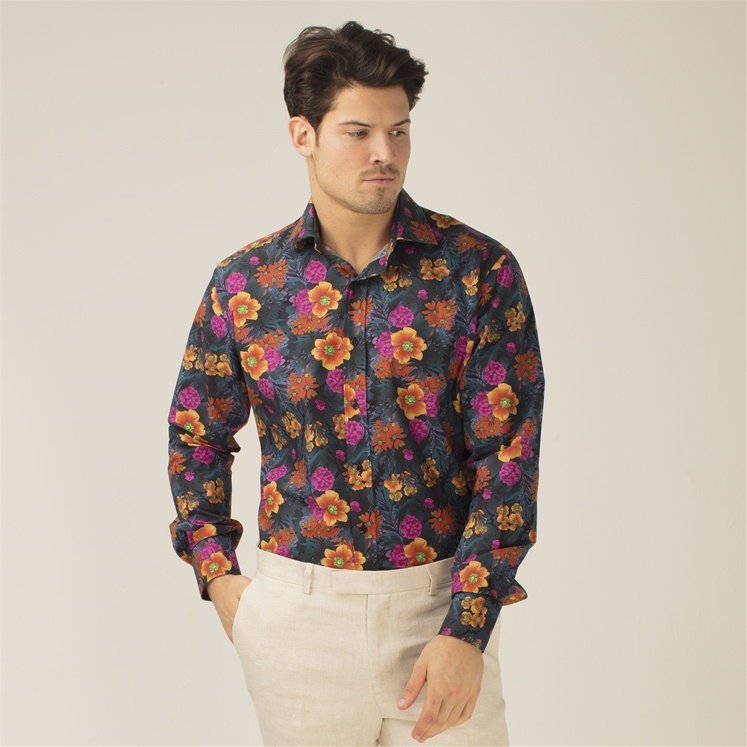 Mens floral patterned shirt, part of our celebratory 20 year collections at Gresham Blake. 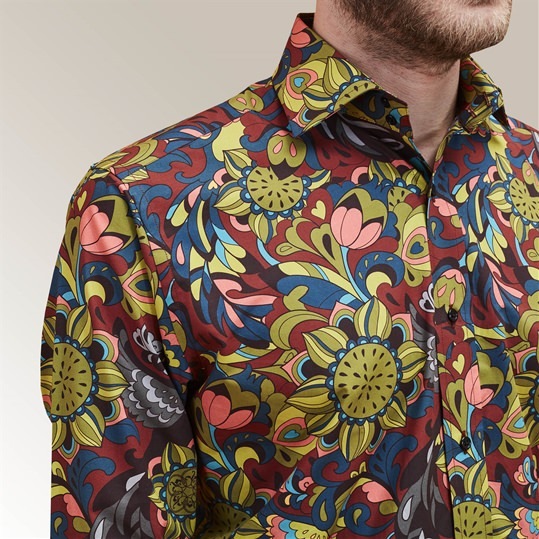 This shirt has been designed using a design by Leila Duly (leiladuly.com) which has then been coloured by Gresham Blake. 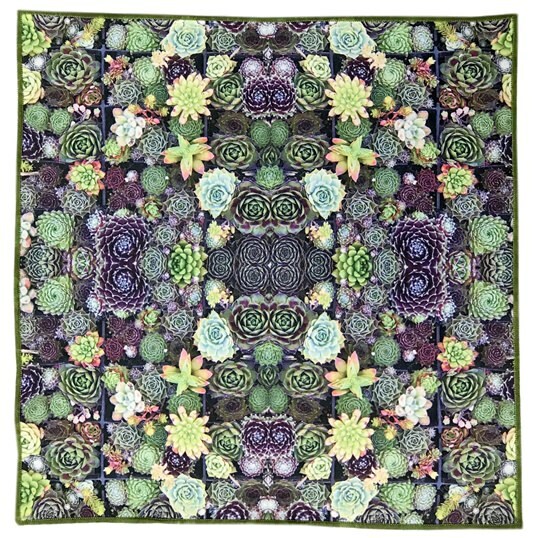 Leila creates therapeutic colouring books for adults. 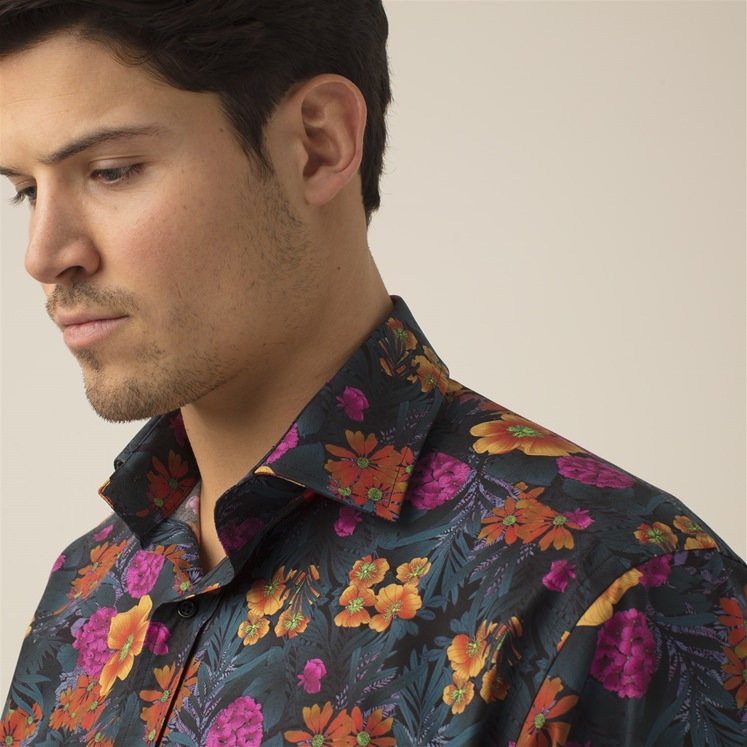 An illuminated design using some great colours.